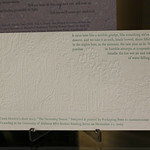 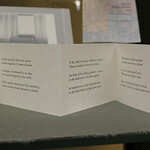 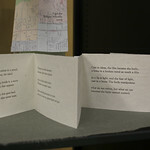 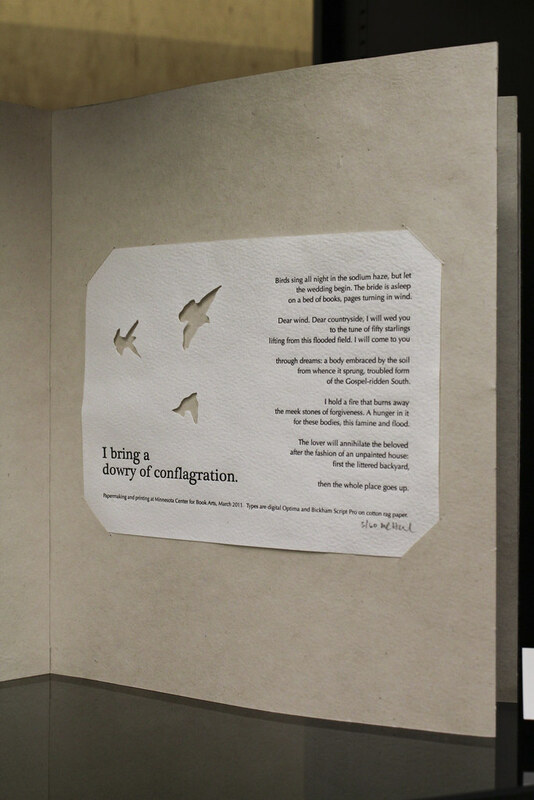 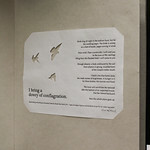 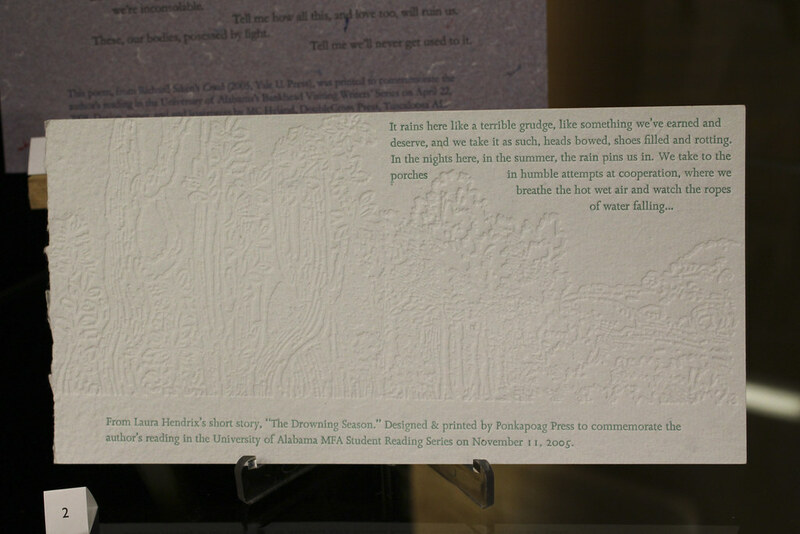 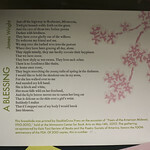 DIEGETIC showcased broadsides and books by MC Hyland and DoubleCross Press. 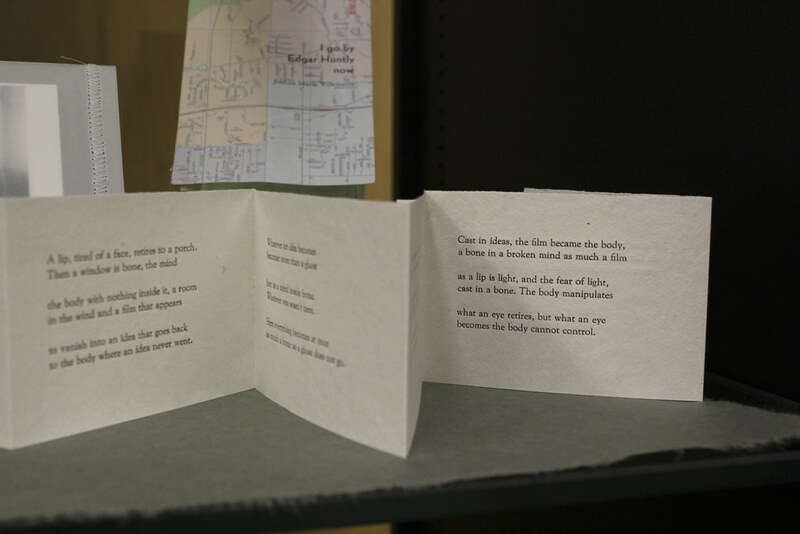 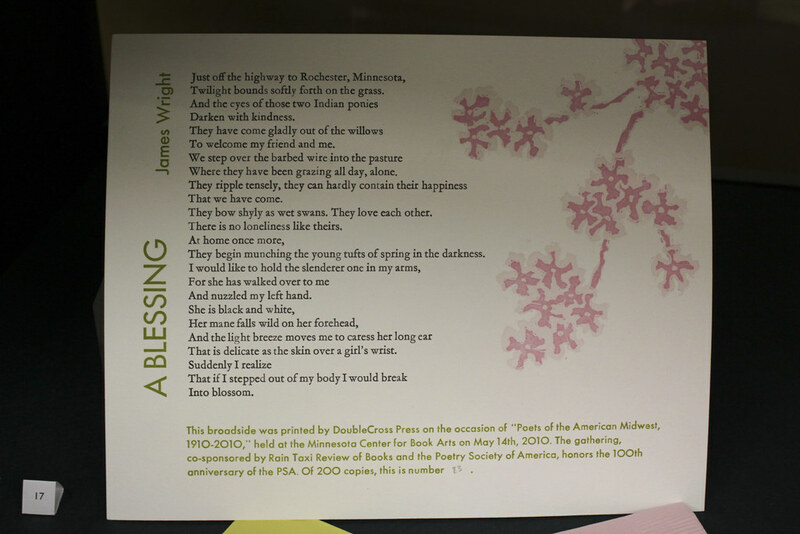 MC Hyland is a poet, book artist, and a former administrator and teacher at Minnesota Center for Book Arts who also runs DoubleCross Press and Pocket Lab reading series. 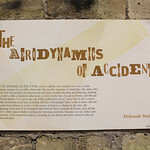 In reference to narrative elements within film, Hyland sees “structure and materials as diegetic elements” of her work. 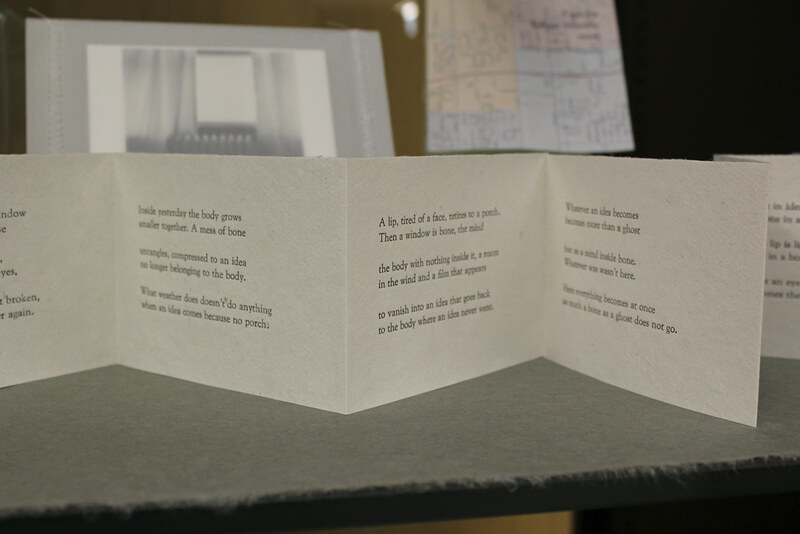 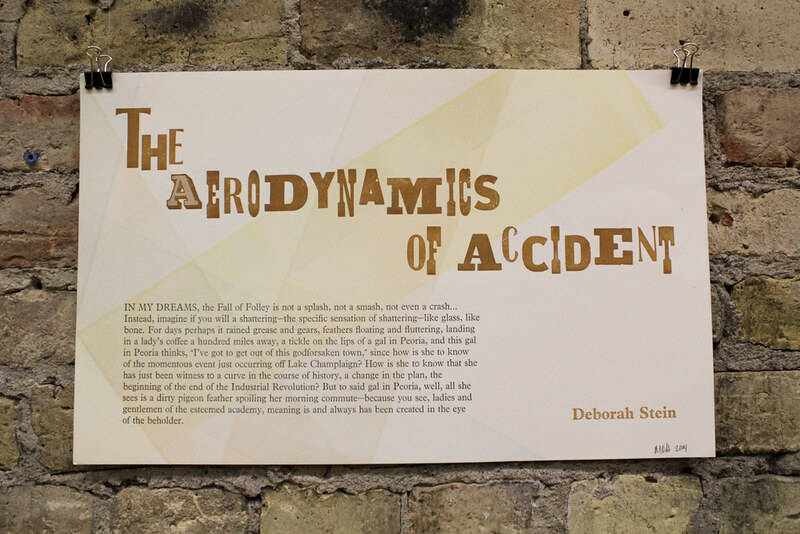 In other words, the narration of her work expands beyond what is printed on the paper to include the process of putting the whole piece together: from concept, to handmade paper, to printing, to final product.